I own no content from the Witcher 3 series or the Improv tool itself. All credit to the original assets go to the original authors. This piece of downloadable content is solely made for recreational purposes and has no plans of earning any revenue for the time being. The general idea was to create The Bestiary. For those who are new to the Witcher 3 Universe - The Bestiary is a compendium which contains information on monsters and how one may defeat it. 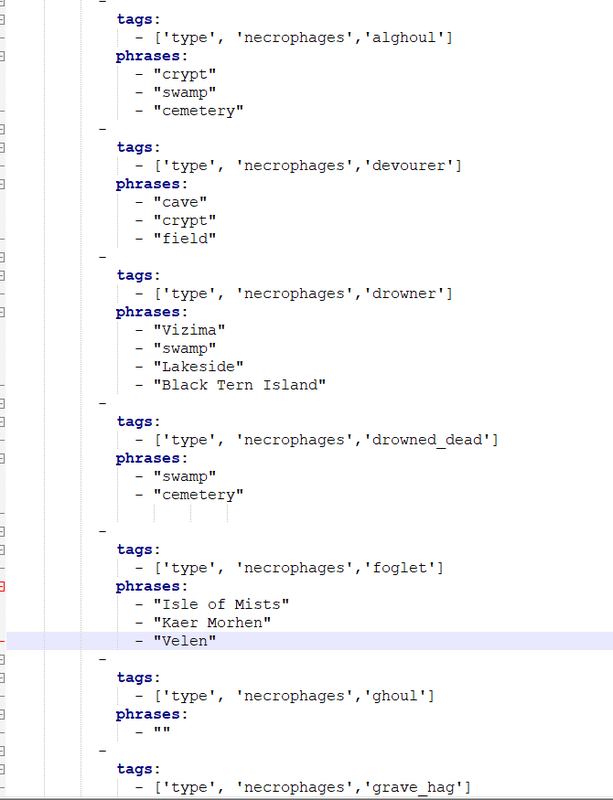 So, I decided to go a step further and tried to make a couple of short stories/instances using the excellent tagging system provided in Improv. 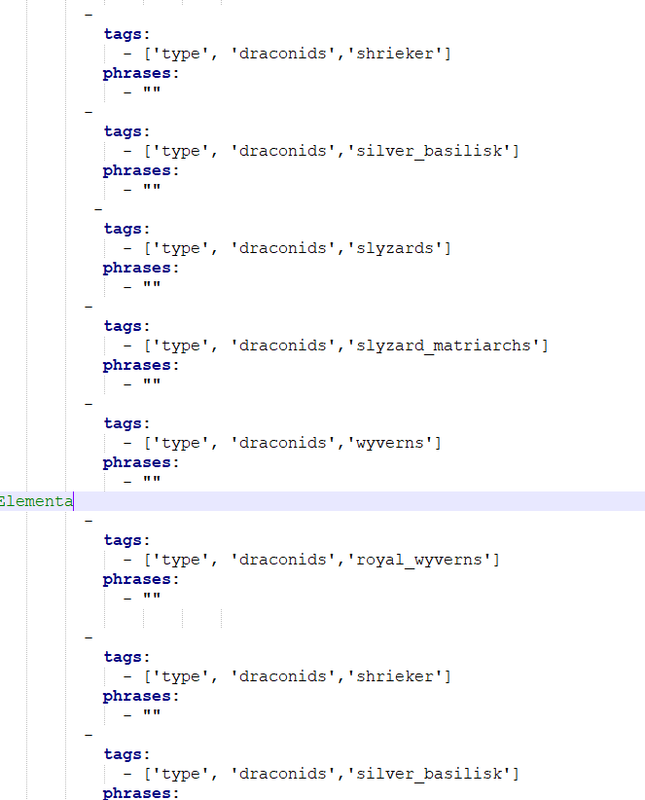 The tagging system is a way of making sure that consistency is maintained across the selections of attributes such as monster type, monster name, weaknesses and locations. The implementation is a bit crude and the limitations in the story generation is quite garish but it depicts how using a basic grammar structure along with selection of flavor text (procedurally/randomly) generates interesting possibilities. A basic grammar structure is used. Sentence generation is divided into [subject] and [predicate], with the subject being proper nouns and pronouns. 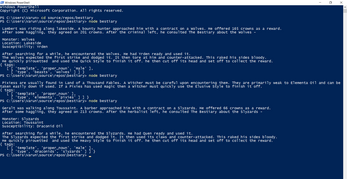 The predicates are a mix of pre-defined template text as well as system generated flavor text. 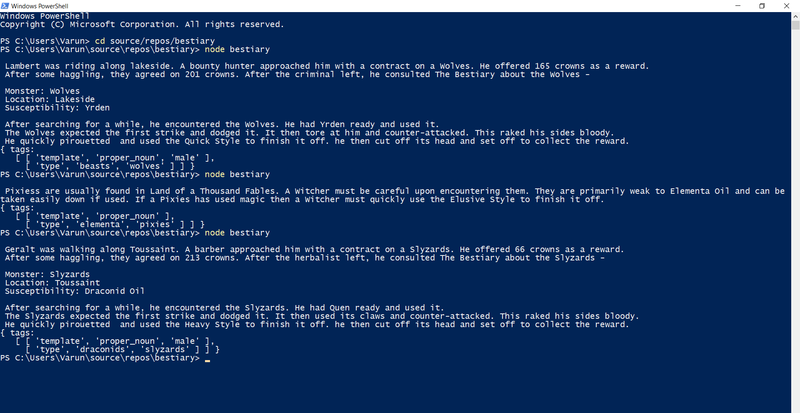 Once installed, open Powershell (or any terminal window) and navigate into the directory that The Bestiary is located in. 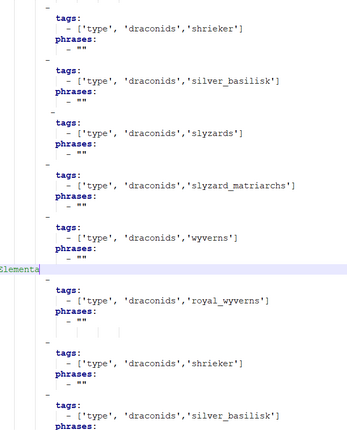 Type "node bestiary" (without the quotes) and press Enter. 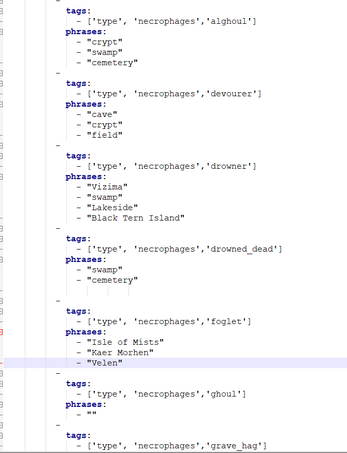 The grammar.yaml can be edited to include tags and templates of your own. Just make sure to use an editor like NPP or Sublime for best viewing formats. However, shortage of time is what has lead to this hastily made compilation.